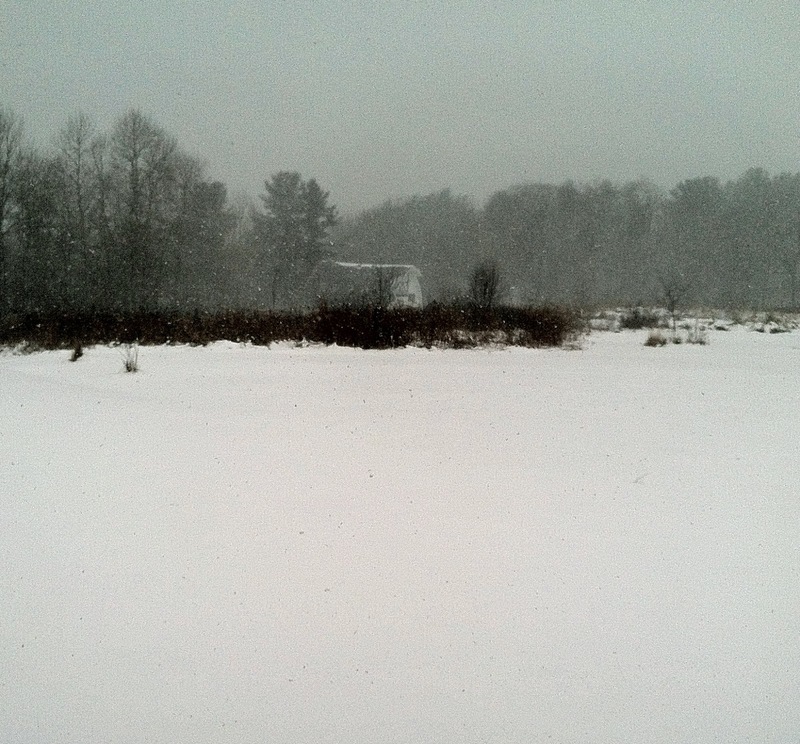 I'm at the Millay Colony, getting snowed in; that's Edna's barn in the distance. On the long drive up, I talked on the phone with the woman who gave me the month off in 2006 that first brought me here and yielded Theories of Falling. Once boss, now mentor, she was giving me advice toward the year ahead. while her daughter ties daisies around every parking meter. then order a draft of something dark and throaty. The man wipes the counter, lays down my napkin. swallowed your hours, said I was full. Almost believed it. are only thirty miles back to main road, an hour to your life. If you get lost don’t trust your gut. The gut’s no navigator. and turn, the one that never needed you in its limits. I wonder if those are the same green eyes that appear in "You Were You"? Maybe. We bank these images into our memory, and they stay with us forever. It had been way too long since I'd curled up with a book, so my reading appetite here has been voracious. What I've most enjoyed is Ann Patchett's collection of essays, This is the Story of a Happy Marriage. Though she's already racked up 10 books at the age of 50 (! ), we get a glimpse of a book that Patchett didn't write, both in terms of references to an abandoned project as part of her life narrative and an essay, "The Wall," which describes a summer's efforts to pass the training tests for the Los Angeles Police Department. That would have been the nucleus of experience, joining the force to create an immersive portrait of the LAPD. But as Patchett discovers in real time, for all his inspiring enthusiasm her father (a former police captain) didn't really want to be on the record in the way that's necessary for a book, and getting to know her truly dedicated fellow recruits made the experiment seem disingenuous. So she let it go. I'm immensely relived to see someone like Patchett admit this. I look up to her--her frank personal manner, the balance of freelance and fiction writing she uses to support herself, the ways she manages (as captured in these essays) to stay rooted in a local community even amidst traveling, traveling, traveling. That's a pretty lofty model from which to distill expectations of myself. From such admiration, it can be hard to rewind my understanding to the writer she was at 33, my age, versus the writer she is now. For applications and in everyday conversation, I'm constantly in the mode of pitching the Next Big Thing on my creative to-do list. But I'm also at the stage of needing to learn that not every big project/goal can be willed to fruition, and that is not a sign of failure. Sometimes the victory is in letting it go. Several friends have recently announced they are retiring manuscripts--taking them off the buyer's market or contest circuit, at least for now. They're grieving what feels like the loss of years, a failure. One of the brutalities of publishing is that a collection of worthy pieces does not make a worthy whole. Just because you've placed every poem with a literary journal does not mean the manuscript has the heft and clarity of vision that's going to win a book prize. Just because you've placed three of your chapters as personal essays does not mean your memoir proposal is going to sell. For publishers to make the forward investment of an advance, production, distribution and publicity, the work has to be not only solid, it has to glimmer. It's not enough that the editor likes the book; the editor has to fall asleep dreaming about the book. That seems like a hopelessly high expectation--"Just bottle the lightning, please"--but it's the way it is. Sometimes the system, cruel as it may seem, saves us from our lesser selves. Patchett's a pro, a natural and prodigious talent. She could have written a good book about a year's service on the LAPD in the post-Rodney King era. But she couldn't have written a great book, not without finding a way to commit to the experience more fully, not unless she unpacked her father's service years beyond his permission. I've taken kill fees for pieces that at the time I felt really passionate about, and realized later that, dammit, the editor really was doing me a favor. I'm really glad I wrote the poem above, because there's some craft to it (elements I'd re-use and refine in later work), and it brings back a particular place of my life. But I'm really glad it wasn't part of what I sent out in Theories of Falling, because it would not have impressed Marie Howe one bit. I'm fortunate to be part of a writing community filled with generative, supportive energy. Because we want to nourish each other's lives, we champion the books that reflect the labor of those lives. We cheer each other on by the dozens of Facebook "likes." It'd be odd to "like" someone's announcement that they're NOT writing a book (and in my mind, you're in the process of "writing" a book up until the very day you're holding it, bound, in your hands). Yet it's the very small population of readers--I can count them on one hand--who will say to me "this isn't working," or "are you sure this is the project for you, at this point in time?" --who are most precious. They are the ones who ground me in the mindset it will take to recognize, endure, and forgive myself for the inevitable misfires that are embedded in any writer's career. 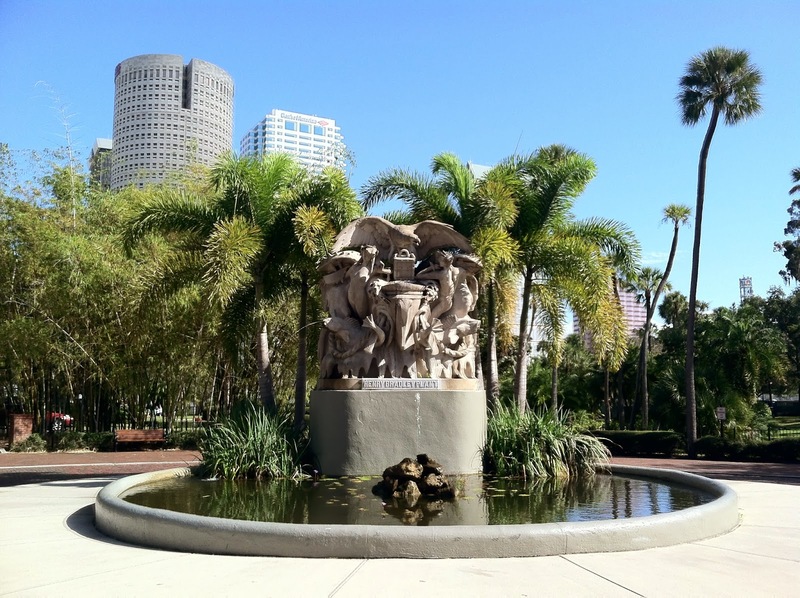 When the University of Tampa MFA faculty spoke to students about practical matters, one of the pieces of advice I gave was to not get attached to publishing your thesis. It's not your first book. Seriously. It's Not a Book. Look at it as a pile of pages, from which you articulate, "Okay. What's the book hiding in here, the one that I didn't write?" And why not? Did the structure you really wanted to try out seem too crazy--or too hard? Were you a tourist to the topic, and now you need six months of immersive research before it's steeped in the proper detail? Did you do too much research, and now you must stop "showing your work"? Is the story's deepest, darkest, least comfortable emotional revelation still unspoken? Is that what held a good book back from the world? If so, awesome. Keep going & have at it. But sometimes, the book you don't write doesn't get written because, frankly…you're a little bored with it. And it's not even written yet! If the book is not one the world really wants to read, really needs to read--if it's not a book your someday editor will fall asleep dreaming about--let it go. The pleasure and peril of being a writer is that there is always something else waiting to be written. 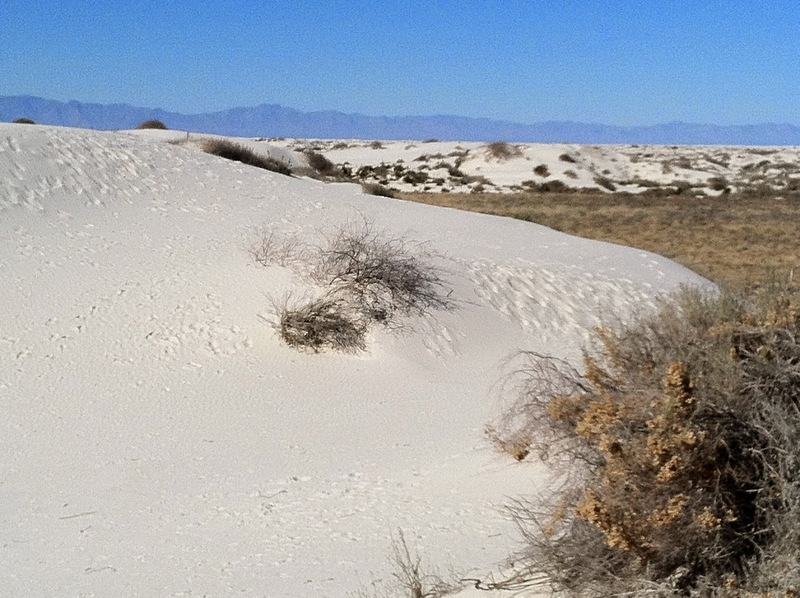 I closed out 2013 by tromping the dunes of White Sands, New Mexico. I kicked off 2014 with the University of Tampa's low-res MFA program. The truth is, I only got a day's glimpse of the warmth that sends snow-birds to Florida in January. What motivates me are the students--they are adults, choosing a destination for their time and money--and I approach this relationship not as teaching, but as mentoring. That means no handholding, no interest in grading assignments for bureacuracy's sake. I think we're going to have a good time, even though my workload is merciless. Five students in three different genres, each with an individualized reading list; that's 50 books for me to read or re-read. Argh. But the fellow faculty is amazing, with standout lectures by Alan Michael Parker ("A Book is a Thing") and Stefan Kiesbye ("Dirty Wedding: The Marriage Between Lies and the Truth in Prose"). And the dance party, DJ'ed by poet Erica "Awesome" Dawson, would keep me returning in & of itself. These next few weeks will be no less hectic. I'm closing on a nonfiction article. I'm heading to Georgia for the first of two stints with the Georgia Poetry Circuit. I'm trying on wedding dresses; trying to figure out how to store an office's worth of books in a closet. I'm leaning hard on figuring out a balance of work and life for the coming year. This post on "Girl w/ Pen"drew my attention to Lost in Living, a documentary that follows four women over the course of seven years. The filmmaker, Mary Trunk, set out with the goal of capturing the struggles and rewards of working as an artist while becoming a mother. But what interests me is the finer details of how women relate to each other. It's very, very difficult--I'd venture to say impossible, unless one chooses cultural self-segregation--for a woman to have her decision to have or to not have children be anything other than a defining identity element in her 30s and 40s, an element that fundamentally frames how she relates to other women. The public conversation tends to be dominated by those who joyfully do or joyfully don't have kids. What about those in between? Those mothers who regret their kids? Or those who opt to be child-free, accepting that also comes with regret? That's a conversation I'd like to listen in on, which I suspect women writers and artists are especially capable of having. Might be too much to ask of this movie, but I'd like to see it happen. I have sympathy for Hannan--hard to know what to do when a seemingly innocuous profile leads you down the rabbit hole. But despite the piece's stylistic strengths, there are valid ethical issues on the table in terms of how the story was presented. Taken with Kahrl's critique, and Simmons's ultimate apology, it all adds up to a meaningful discussion of the pressures and responsibilities of the contemporary freelancer. For the 2014 Cave Canem Residency at The Rose O’Neill Literary House, applications will be accepted if postmarked by March 15, 2014. I read with Kevin Vaughn for the 2012 salon--he was wonderful company, a rising talent, and I really enjoyed visiting Chestertown. Apply, apply.